Esther had a previous life in social work, guidance/student personnel, and law school admissions. In 1990, she plunged into a new life when she started SPAY/USA. Motivated by the plight of the many wonderful cats at the Bridgeport, CT animal shelter with no prospects of finding a good home, she realized that the only solution was to prevent unplanned litters. By doing so, a great deal of suffering could be avoided. That has been her focus ever since. 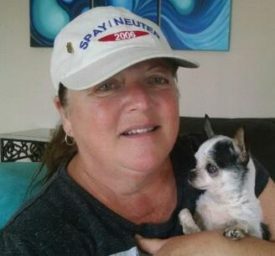 Esther started SPAY/USA to bring together vets and clinics offering affordable, accessible spay/neuter services. Within three years, a network of well over a thousand vets and clinics had been developed across the country, and the program moved to the North Shore Animal League. Esther ran the program until 2010. Leaders of the state spay/neuter referral programs that had evolved over the prior couple of years expressed interest in becoming more proactive, going beyond referral to recruitment, marketing, policy, and social media to spread the word within their own geographic areas. These were the roots of the United Spay Alliance, which became a nonprofit organization in 2015. The goal of this animal welfare organization is to reduce animal suffering by working to ensure that every cat and dog born has an excellent chance of finding a loving, permanent home. As a child growing up in Huntington, WV, Jim helped his father breed beagles and acquired a real love of animals. 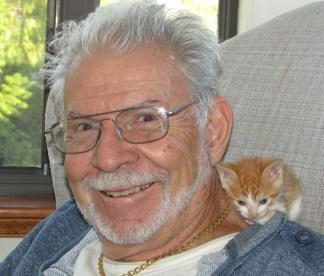 It prepared him to meet his soulmate and future wife Donna, a cat lover who told him, “love me, love my cats.” Since 1975, they have been the driving force behind the nonprofit, Help for Animals. By 1996, the pet overpopulation problem had grown in their area, and they thought they should do more. After they met Esther Mechler and Dr. Marvin Mackie, their group was ready to open the first low-cost spay neuter clinic in West Virginia. Twenty years later, they have two veterinarians and a staff of eighteen. The clinic has performed 150,000 spays and neuters, doing 12,000 a year—while adopting out 300 animals and helping with 500 feral cats annually. 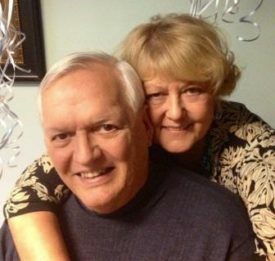 Jim’s 55-year professional career began in a CPA firm, then shifted to being a CFO and administrator of a 440-bed hospital; Donna was an Executive Assistant with great organizational skills. Together they have operated a successful clinic while providing humane education in local schools, sterilizing feral cats at a low price, fostering and adopting out cats and dogs, providing animal medical assistance, and doing the work needed to provide state residents with information to help them locate available low-cost clinics close to their own homes with SPAY/WV. The two practice what they preach, sharing their home with a dog and fourteen cats—all rescues. Now in his late 70s, Jim serves as CEO of the Help for Animals Clinic in Barboursville, WV. Carol spent most of her life in various towns surrounding the Philadelphia, PA area. In 2005, she moved to Raymond, ME to be with her soul mate and now wife Trisha. They currently have two dogs, Dori and Mizzen, and two cats, Luna and Cinder, who they adopted from Hart Adoption Center & Shelter for Cats. They are committed to helping animals of all kinds and donate to the Greater Androscoggin Humane Society in Lewiston, ME. Although Carol wears many hats, her background over two decades includes extensive experience in information technology: team leading, business analysis, functional design, software system testing, documentation, training, and customer service. She has a strong attention to detail and is pleased to apply that as Treasurer for United Spay Alliance. On a personal note, Carol keeps active by being outdoors as much as possible, biking, hiking, skiing, snowshoeing, gardening, really just about anything. The other side to that is being able to use her graphics background to create gifts like cards, t-shirts, signs, etc., for family and friends. In 1976, Dr. W. Marvin Mackie discovered his mission with the effort to humanely control pet overpopulation. Partnered with a colleague, he opened a spay/neuter clinic each year for the next six years. Breaking ground by demonstrating new standards of production, he transformed the image and status of the spay/neuter clinic. In 1989, he began promoting early-age spay/neuter by distributing a well-done amateur video demonstrating the ease with which the surgery could be performed and the rapid recovery of his young patients. In 1991, he partnered with stakeholders to effectively include feral cats. During his last full year of clinic ownership in 2007, he added 1,562 ferals to the clinic’s scheduled 7,276 patients using his efficient, minimally invasive, safe surgical system. 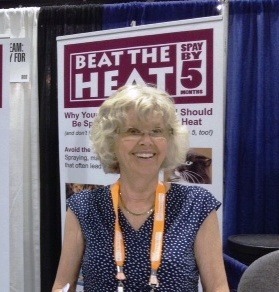 “We must include affordable spay/neuter in our menu of services to the pet community,” says Dr. Mackie. 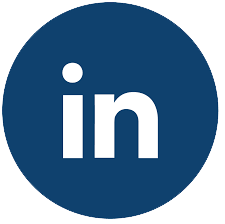 “A clinic can easily and profitably provide this service by gaining confidence in surgical skills and eliminating unnecessary steps that add nothing to the successful outcome of the surgery. Only since the veterinary community began to address the issue of pet overpopulation (birthing beyond ownership capacity) as a serious problem, can it be said that the profession is now doing its part in the effort to humanely reduce pet overpopulation. Dr. Mackie has lectured, taught, and conducted “wet labs” throughout the United States and in many other countries. Having performed some 250,000 spay/neuter surgeries, he has earned worldwide recognition as a spay/neuter specialist. For the past thirty years, Peter Marsh has helped government agencies, foundations, humane organizations, and advocacy groups throughout the United States develop and implement animal protection programs. During that time, he has helped put together successful statewide animal-related legislative initiatives in Delaware, Illinois, Maryland, New Hampshire, New York, North Carolina, and Vermont. More recently, Peter has authored two books about programs to end animal shelter overpopulation in the United States: Getting to Zero: A Roadmap to Ending Animal Shelter Overpopulation in the United States (2012), and Replacing Myth with Math: Using Evidence-Based Programs to Eradicate Shelter Overpopulation (2010). He has also helped make a documentary film about progressive animal shelters in his home state of New Hampshire. You may know Susan from Petco and Petco Foundation, where she spent almost 16 years. Her passion for animals was discovered at a very young age when their neighbor reported to her mother that little 8-year-old Susan was creating her own zoo in the family’s backyard. When her mother investigated, she found that Susan was carefully taking care of many unwanted and abandoned neighborhood animals with her weekly allowance. She even rescued a few that didn’t really need it, so her mother promptly returned their neighbor’s cat—with the observation that “Susan really doesn’t like cats to be left outside by their family so she took yours.” A life in animal welfare was her destiny. Spending eight years working side by side with Petco Foundation Executive Director Paul Jolly (deceased) taught Susan an instrumental lesson in passion, dedication, and a “get it done” work ethic. Susan prides herself on being able to give funding away as fast as it can be raised. 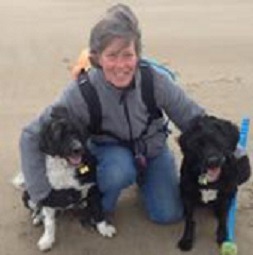 She is a popular public speaker, Ready San Diego Sector Chair, a marathon shoe shopper, a CA Humane Academy graduate, a fundraising award winner, and a FEMA-certified expert in handling disaster events that involve animals. Susan is currently Director of International Animal Programs at GreaterGood.org, where she is able to help animals all over the world, helping to raise and grant over $40 million a year.